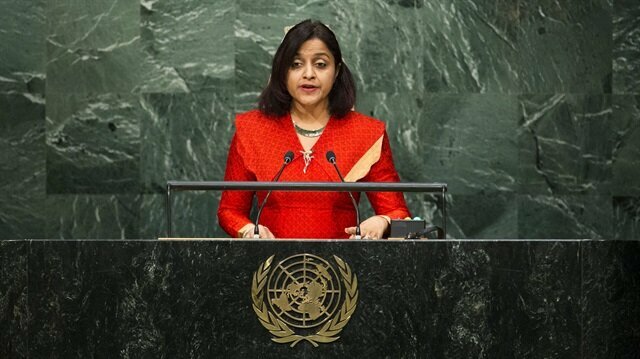 Maldives State Health Minister Dunya Maumoon has resigned, she said in a letter on Tuesday, grieved by the arrest of her father, the island nation's longest-serving leader, after President Abdulla Yameen declared a state of emergency. The Maldives' top court last week validated a 30-day extension of the state of emergency sought by Yameen over what he has called a national security threat and constitutional crisis. "Today, at this time of pain and crisis for both my family and my country, it is my sincere hope to see my father home at the earliest," said Dunya Maumoon, who becomes the second minister to resign from Yameen's ruling party since the crisis began on Feb. 1. "I therefore call upon the international community to support the Maldivian people to help us overcome this crisis and to build a stronger democratic system," she said in the letter reviewed by Reuters. Her father, Maumoon Abdul Gayoom, is Yameen's half-brother and ruled the country for 30 years until 2008. He was arrested at his residence early this month, along with his son-in-law. "He is not just my father, but the father of the nation, who has built this country and has earned the respect and love of the people," she added. After declaring the emergency, Yameen's administration arrested the chief justice, another Supreme Court judge and Gayoom on allegations of attempting to overthrow the government.